I’ve been wanting to come to Fuku since I first heard that David Chang was creating a restaurant solely dedicated to fried chicken sandwiches. I… love… chicken sandwiches. And I’ll let you in on a secret. Every time I go home to Beijing, I have a list of restaurants I always have to hit up, ranging from my favorite peking duck to THE GREATEST spicy fried chicken sandwich ever from KFC. Yup, KFC. Those of you from Beijing will understand. KFC does not have it on its US menu. They call it the Zinger burger. The sandwich consists of a big, thick piece of dark chicken thigh meat fried to perfection, a smear of mayo, and a light sesame bun. It’s amazing. Just take my word for it. Anyway, that was for context. In my mind, Fuku was benchmarked against my glorious Beijing fried chicken sandwich. LAW and I came around 1:30pm this past weekend. Fuku is only open from 11-4 Wednesdays through Sundays. The place was packed with Asians. Maybe everyone else is benchmarking against Beijing KFC too? I ordered everything on the menu sans alcohol: 1 spicy chicken sandwich + 1 Koreana (Fuku’s newer off-menu spicy chicken sandwich with daikon radish) + 1 fuku salad + 1 french fries + 1 seltzer water. Sorry for being MIA again. I’ve been busy figuring out my life and have recently made some exciting changes! Also took advantage of some inbetween time to travel last week to Jordan. Jordanian blog post coming soon! After our long journey back, we had a couple hungry hours to kill before dinner so dropped by BaoHaus. I’ve reviewed this place twice before. It’s become a staple place to go to for a snack in my neighborhood. The little baos are the perfect after-school snack to tide you over before dinner. 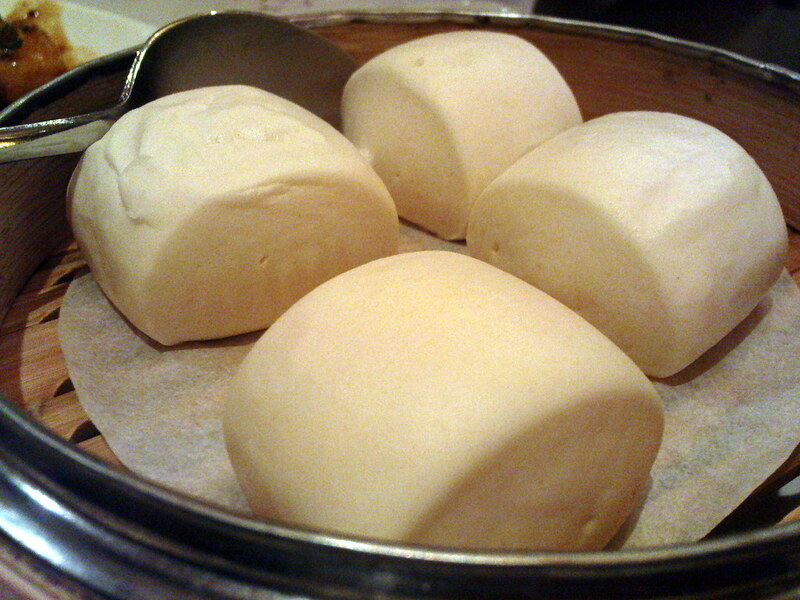 Of all the baos they have, my favorite is still the Birdhaus Bao ($3.50). This little bun is stuffed with a piece of fried chicken with mayo, cilantro, crushed peanuts, and Taiwanese red sugar. The chicken used to always be fat and juicy but the last couple of times I’ve been, the chicken has been dry and overcooked. BaoHaus, don’t be losing your quality now that you’re the popular kid on the block.